Get Creative With Date Night. Eat dinner at home and go out for dessert. Go hiking on a nature trail instead of heading to the movie theater. Download an app like Scrabble. You can’t beat the value, and you definitely can’t beat the quality time with each other! Take the Surveys. Those survey offers at the bottom of restaurant or retail store receipts are worth a few minutes of your time, especially when they offer free meals or a chance to win $1,000. Visit a website, give feedback, and earn a coupon for your next trip. Buy Generic. It’s amazing how much more you pay for trash bags, pet food, and condiments just because of the label on the front. Purchase generic brands instead and you’ll be shocked at your savings. Cut Cable. TV is a lot more mobile nowadays—and a lot less expensive. If you ditch the cable and get your football or Real Housewives fix from sites like Hulu, Netflix or Sling TV, you can save hundreds of dollars a year. Search for Online Promo Codes. Check coupon websites before ordering anything online. It’s very easy to do—just type the store’s name and “coupon” into Google and see what pops up. Make Your Own Coffee. It costs a lot less to brew your own cup of joe than to buy it at a coffee shop. According to USA Today’s Coffee Calculator, one 16-ounce cup of regular coffee a day from Starbucks will run you $63 a month. That costs drops to $2.40 a month if you make your coffee in your kitchen—plus, you can add all the shots of vanilla and hazelnut syrup you want, and there’s no waiting in the drive-thru line. Download Deal Apps. There are tons of apps that help you find the best price on everything from groceries to clothes to hotels. Download your favorite and start saving. We can think of 25 money-saving apps you should try! Adjust the Thermostat. According to energy.gov, turning the thermostat back seven to 10 degrees for eight hours a day can save you up to 10% a year on your bill. 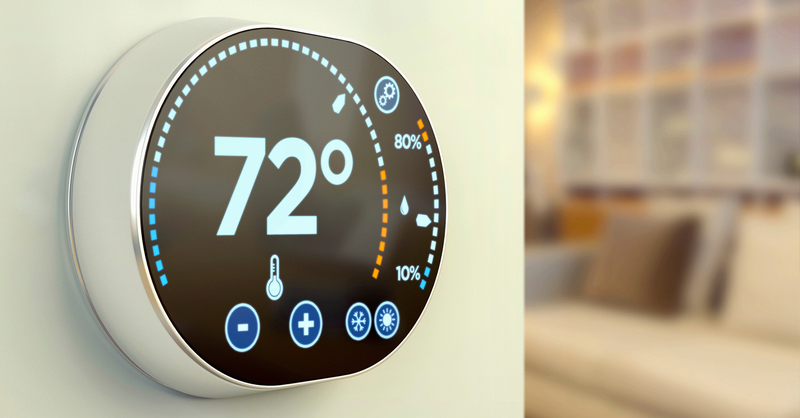 Adjust the thermostat up in the summer or down in the winter when no one is home. Budgeting with EveryDollar is another small change that produces big results. Create your budget in less than 10 minutes and see how much of a difference it makes to be in control of your money!